The California Emergency Management Agency (Cal EMA) was renamed the Office of Emergency Services (Cal OES) in October 2013. It coordinates the state’s preparation for, prevention of, and response to, major disasters, such as fires, floods, earthquakes and terrorist attacks. Cal OES assists local governments in dealing with natural and man-made disasters that are too large in scope for one local entity to handle and is the conduit to localities for hundreds of millions of dollars in federal grant money. Natural disasters and war emergencies were treated as separate and distinct early in California’s history. The Legislature created the State Emergency Council in 1929 and the State Council of Defense in 1941. The State War Council replaced the Council of Defense in 1943, expanding the governor’s emergency war powers during World War II. At war’s end in 1945, the State War Council was replaced by the State Disaster Council and given the dual role of natural and war-caused disasters. Emergency management shifted to the newly-created State Office of Civil Defense in 1950 but over the next six years the agency’s increased involvement in natural disaster operations dictated a name change to California Disaster Office. It officially became the Governor's Office of Emergency Services (OES) in 1970. The office coordinated a system that supported local governments preparing for, responding to and recovering from natural, manmade and war-related emergencies. The state created the California Terrorism Response Plan after the Alfred P. Murrah Federal Building in Oklahoma City was bombed in 1995. A year after the attacks of September 11, 2001, the state’s Little Hoover Commission issued a report entitled Be Prepared: Getting Ready for New and Uncertain Dangers that argued the threat of terrorism “fundamentally alter[s] the role of state and local governments in the area of homeland defense.” The report called for a new “terrorism-related structure” that reported directly to the governor, beefed up disaster response and a “rebuilding” of the public health system—with a special focus on chemical and biological threats. Little Hoover issued another report in 2003 with a special focus on public health and then a third report in 2005 that chastised the government for not getting off the dime and making the recommended changes. Governor Arnold Schwarzenegger issued an executive order in April 2006 directing the offices of Homeland Security and Emergency Services to meet quarterly with around two dozen other state agencies to coordinate assessments of emerging public safety threats and develop plans for dealing with them. The Legislature responded to the commission in September 2008 by passing AB 38, consolidating the offices of Homeland Security and Emergency Services into one. Although the newly-merged Cal OES officially traces its historical roots through the Office of Emergency Services, its budget overwhelmingly reflects the influence of Homeland Security. Federal money accounted for more than 80% of its $1.25 billion budget in 2012-13, most of that dispersed as local assistance through state grants. 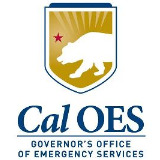 The California Office of Emergency Services (Cal OES) deals with natural disasters and homeland security issues through planning and preparation, response, and recovery efforts. This division educates the public about what individuals can do to prepare for potential disasters. Besides providing general information, a hazard assessment section allows California residents to type in their home address to learn what hazards their neighborhoods face, and what they can do to prepare for them. For instance, most neighborhoods would learn they are near past earthquake activity, and should take precautions such as securing water heaters, heavy furniture and other household items. The agency operates regional offices in Sacramento, Oakland and Los Alamitos that act as liaisons and information source for local governments developing their own state-required emergency management plans, and they administer mutual aid agreements between local agencies. Although a local agency would likely be the first one called to a disaster in its community, the state agency might call on other local agencies’ or another state agency’s help for specialized assistance. The state agency has placed communications vans, satellite equipment and other specialized equipment at law enforcement agencies, and fire engines with fire districts. These local agencies can use the equipment, but Cal OES might also dispatch them to a disaster somewhere else in the region. A separate division, the Fire and Rescue Division, handles incidents involving fires or hazardous materials. In a typical year, it responds to more than 100 such incidents. The Law Enforcement Division, which has been around since 1960, coordinates statewide response to mutual aid requests from the 58 county sheriffs, police departments, university police, and other local, state and federal law enforcement agencies. It also helps with search and rescue, and coroner activity at mass fatalities. It operates a mutual aid system as part of SEMS, maintains a resources database, offers law enforcement training courses and sends out bulletins about timely issues. The state agency also has a program to search for and rescue people trapped in high-rise buildings or other hazardous situations in cities, and a separate program to search for and rescue people who are missing in remote areas such as mountain ranges. The Recovery Branch assists local governments and individuals who are recovering from disasters. It receives and distributes federal and state money specifically for disaster assistance. The Recovery Branch also works with local agencies to help them keep the costs of responding to a disaster as low as possible, and makes sure recovery projects meet requirements for environmental and historical preservation. The agency’s Grants Management Division administers more than $2 billion for homeland security, emergency management and criminal justice. Most of this went to local and regional agencies. The Public Safety Branch funds 36 programs aimed at suppressing criminal activity by reducing drug and gang activity, supporting drug treatment, battling identity theft and reducing DNA backlogs. The Victim Services Branch awards funds for a wide range of support services that include involvement of children, domestic violence, sexual assault and witness protection. Cal OES administers the Hazardous Materials Emergency Preparedness grant program for training and planning, provides Hazard Mitigation grants and earthquake and tsunami grants, and operates a program for grantees navigating the complicated process of managing grants. The Training Division runs the California Specialized Training Institute in San Luis Obispo, where all first responders from California receive training and certification in a variety of topics. The 2012-13 budget proposes closing the institute’s San Luis Obispo campus, and its programs sent to multiple locations throughout the state to save $1.5 million. The division also conducts statewide multi-jurisdictional training exercises in other California cities, such as its annual Golden Guardian program. The Golden Guardian program is an annual assessment of the state’s emergency response plans. In 2012 it will focus on the Southern California Catastrophic Earthquake Response Plan. Training topics the agency has offered include advanced counterterrorism strategies, crisis communications and the media, tactics for law enforcement officer safety, and planning emergency operations. Some crime prevention training programs are slated to be administered by a new state entity within the Department of Corrections and Rehabilitation, the Board of Community Corrections, in 2012-13. Homeland security dominates the Cal OES budget. Thanks mostly to the federal government, the agency manages more than $2 billion worth of grants for homeland security, emergency management and criminal justice. Only 20% of the agency’s 2012-13 budget ($1.25 billion) came from the state. Most of this assistance is disbursed to local and regional agencies. California has been the recipient of at least $1.9 billion worth of major anti-terrorism grants from Washington, D.C. since the September 11, 2001, attacks, and a succession of reports by the federal government indicate the money hasn’t always been spent wisely. While a U.S. Department of Homeland Security report released in February 2011 found the state generally “did an efficient and effective job of administering the program requirements, distributing grant funds, and ensuring that all of the available funds were used,” its inspector general listed a series of costly missteps. The report, which looked at Urban Areas Security Initiative Grants awarded from 2006-2008, did not identify the particular localities within the state that obtained the grants, which generally have three years to spend their money. California has established half a dozen “fusion centers” around the state to bring state, local and federal law enforcement personnel and systems together to deal with terrorism prevention, as well as cross-border crime, gangs and drug trafficking. The report cited one unidentified center as wasting $700,000 on software that didn’t work before spending another $1.25 million to replace it. Another center bought 55 large-screen digital televisions for $74,394 but hadn’t purchased the training system they were meant to implement. On the day federal inspectors visited the site, all the TVs were turned to a single station. Another unnamed urban area spent $4.4 million to lease office space for its fusion center. Inspectors found half the space, dedicated to training, was virtually unused and another section was used just two or three days a week. One urban area paid $2 million for 5,400 protective suits to shield first-responders against chemical, biological, nuclear or explosive hazards. The purchase was to outfit most of its first-responders, but hadn’t considered how many would actually need the suits. In general, the report found that California agencies had not justified sole source procurements without competition of more than $10 million. In one instance, several jurisdictions bought the same automated license plate scanners worth $6.2 million because they were told they all had to have the same proprietary software to communicate with each other. An earlier report from the Department of Homeland Security, released in 2009, found similar problems associated with State Homeland Security Program Grants awarded in 2004-2006. That report noted that local governments were receiving antiterrorism money without providing the simplest of invoices documenting their expenditures, and that state officials didn’t begin making site visits until 2006. The head of Cal OES, Matthew Bettenhausen, disputed the findings and said the federal government was being too demanding. An independent examination in 2009 of public records by the nonprofit Center for Investigative Reporting uncovered a host of questionable transactions and published them at its California Watch news site. It found that dozens of cities failed to keep adequate records, resulting in overpayments; there was a lack of competitive bidding; purchases were made of things that had no bearing on security; and there was a general lack of organization. Four years after Marin County paid $100,000 for surveillance equipment, $67,000 worth of gear was still sitting in boxes. In response to a widespread financial crisis in the U.S. economy, the federal government enacted an economic stimulus plan called the Reinvestment and Recovery Act in February 2009. Cal OES applied for and received $136 million to create new programs for crime victims and to rehabilitate criminals but didn’t make any grant awards itself until February 2010. A key element of the Recovery Act was time. The aim was to jump start the economy with a quick infusion of cash but in May 2010 the state auditor warned that Cal OES was spending funds too slowly and doing a poor job of monitoring how they were used. Only 3% of the money—four grants totaling $4 million—was spent after one year. Within three weeks of those initial awards, the amount awarded grew to 52 recipients who received a total of $35 million, 26% of the money to be awarded. A year later, $133 million had been awarded but less than half, $64 million, had been spent by recipients. If the funds are not spent by February 28, 2013, they revert to the federal government and the auditor thought the agency wasn’t making that clear to recipients. “Without written policies or guidance to clearly communicate management’s expectations to the specialists and help ensure consistent monitoring of subrecipients’ progress in expending Recovery Act funds, there is an increased risk that funds will not be used before their reversion date,” the auditor wrote in an updated 2011 report. The agency’s Drug Enforcement Section said many of the grant recipients were sitting on their funds, waiting for the state to pass a budget before moving forward. Even before the agency sent the money to these recipients, the agency had recorded $104,000 in expenses related to administering the program. The Grant Management program’s staff did not expect the $592,000 the federal Recovery grant allowed to be spent on administering the grants would be sufficient, and wanted to also use $1.6 million it would earn in interest on the unallocated grants to further fund administrative expenses. Yet it had not properly documented the expenses it already incurred, did not have a satisfactory plan for spending the rest of the money and didn’t have a satisfactory plan for monitoring its grantees. The California Specialized Training Institute at Camp San Luis Obispo, which offers advanced training for law enforcement, firefighters and emergency responders, may fall victim to a 2012 round of budget cuts. The 40-year-old institute trains 4,000 people a year in courses taught on campus, and another 21,000 a year through a distance learning program. Cal OES would restructure and relocate portions of the program to the State Operations Center near Sacramento, according to institute officials. The state estimates it would save $1.5 million. San Luis Obispo County officials estimate the closure will cost 20 people their jobs and take $5 million from the local economy. The county figures there will be an $800,000 annual loss in hotel and restaurant use, $3.8 million less paid in salaries and benefits, and a $220,000 annual lease that will not be paid to Camp San Luis Obispo, which owns the institute’s campus. While locals would be sorry to see it go, not everyone has been supportive of the institute over the years. When it opened in 1971, the institute was criticized for training police officers to use military-style tactics in their daily law enforcement operations. At the time, protests against the Vietnam War and other social concerns took place regularly on university campuses, and sometimes escalated to civil disobedience. Authorities were searching for ways to keep these demonstrations from getting out of control. Colonel Louis Guiffrida, Governor Ronald Reagan’s choice to be the institute’s first director, had raised eyebrows in 1970 for writing a paper advocating marital law and “rounding up” 21 million African-Americans and sending them to relocation camps in the event of a militant uprising. As president in 1981, Reagan appointed Guiffrida, who had risen to the rank of general in the California National Guard, to head the Federal Emergency Management Agency. He resigned from FEMA in 1985 amid allegations of corruption. One of the institute’s first courses, Civil Emergency Management, also came under fire. It allegedly advocated manipulating the press, imposing marital law and using computer technology to “spot radicals.” This course provided training to law enforcement officers, National Guard members, firefighters, elected officials and people employed in private industry. When disaster strikes, experts like those at Cal OES recommend that you drop, cover and hold on. If an earthquake strikes, don’t dash outside. Hit the ground. Take cover beneath something sturdy. Hold on for dear life. Kids in school have been taught the drill for 50 years in case of quake, storm or nuclear attack. It was the conventional wisdom until the unconventional Doug Copp showed up. Copp claims to be the most experienced rescue expert in the world, a veteran of 100 disasters worldwide who has climbed through hundreds of collapsed buildings and saved tens of thousands of lives. He has operated the American Rescue Team International since 1984, recounts his exploits at the Mexico City earthquake in 1985, touts his work for the United Nations and was a heroic first-responder at the World Trade Center on September 11, 2001. Copp says everything we know about how to act in a disaster is wrong. Falling buildings crush big things and everything under them. He says don’t get under things. Lie next to them. Don’t go to the center of a building. Cuddle up to a wall. Don’t curl up under a doorjamb. It will skewer you to death. The only safe place is in the space next to objects, beneath the triangle of wreckage. He calls his method The Triangle of Life. One school of thought has it that drop and cover may be more appropriate in developed countries where construction is more sturdy and the Triangle of Life might be more suitable for developing nations where lax building codes and shoddy construction might redefine survivable space. “You have to think about the hazard level of the area you're in,” according to Gary Patterson, a geologist and director of education and outreach at the Center for Earthquake Research & Information at the University of Memphis in Tennessee. Many safety experts call the method wrongheaded and Copp a fraud. “There's something of an ambulance chaser to this guy,” Ghilarducci said. In 2003, Copp made his case to Kenneth Feinberg, special master of the 911 first-responder fund, that he performed heroically at the Twin Towers on September 11, to the extreme detriment of his health. After listening to Copp detail for two hours his 41 medical problems, including chest pains, blurry vision, a fractured spine and dementia, Feinberg awarded him $649,885 tax free as compensation. Copp said he really needed, and deserved, a million dollars more. The Alburquerque Journal described Copp in a 2004 four-day series of stories as having “a nearly 20-year history of exaggeration, self-promotion, freeloading and very little evidence of real rescue work.” Reporters interviewed a host of people at Ground Zero who had contact, some extensive, with Copp and all of them cast doubt on his heroic tale of trudging through thick smoke and toxic swill underground, locating bodies with a special machine of his own device. The doctors described him as overweight, having mild asthma and being clearly depressed. Realignment legislation in 2011 created a new department, the Board of State and Community Corrections, which will provide technical assistance to counties and promote local accountability. The department will absorb the Corrections Standards Authority from the California Department of Corrections and Rehabilitation and administer some local criminal justice grants that currently reside in Cal OES. The department is scheduled to be operational in June 2012. President Barack Obama’s 2013 budget proposes cutting $4.6 million from the National Oceanic and Atmospheric Administration (NOAA) earmarked for tsunami programs that California utilizes. The state received about $1 million a year from the NOAA the past few years for outreach activities, including production of computer models showing how far inland waves might go, emergency drills, 3,200 warning signs and other materials. Cal OES may close the California Specialized Training Institute at Camp San Luis Obispo if proposed 2012 budget cuts take place. The 40-year-old institute, which offers advanced training for law enforcement, firefighters and emergency responders, trains 4,000 people a year in courses taught on campus, and another 21,000 a year through a distance learning program. California, like all states, counts on the Federal Emergency Management Agency’s support in times of great disasters. It is the nation’s disaster relief agency, primarily charged with responding to natural disasters. It’s been that way since President Jimmy Carter issued an executive order in 1979 creating the agency by consolidating disaster-related responsibilities scattered throughout government. From time to time the call has arisen to abolish the agency or scale it back. And in 2011, it found itself at the center of a raging fight over the budget and the debt ceiling. Collins, chairwoman of the Homeland Security Committee, made her statement in the aftermath of Hurricane Katrina and echoed her committee’s findings after 22 hearings on the storm that devastated the Gulf Coast and highlighted the agency’s shortcomings. “There are many good people who work at FEMA, but they have lacked the leaders, the tools, the systems and the budget to be effective,” Collins said. The House of Representatives and the White House also had harsh criticism for the agency but stopped short of calling for its termination. Conservatives have long criticized FEMA and their complaints take different forms. Some call for separate agencies to handle natural disasters and terrorist attacks, respectively. Some believe emergency response is best left to the states without federal interference while others would look to the private sector for leadership and services. Klein’s point was that FEMA was hobbled by Republicans who don’t like government in general—and that agency in particular—who then complained about how poorly it functions. FEMA’s effectiveness has always been directly related to who was running the government. When created by Democratic President Carter in 1979, its primary goal was preparing for and dealing with natural disasters, and its secondary goal was coping with a nuclear attack and the more vague concerns of national security. President Reagan, a Republican, shifted disaster resources to national security, setting up a FEMA Civil Security Division for dealing with political disturbances and riots, gathering files on left-wing activists, and networking FEMA with military and national security agencies. FEMA was unprepared for what followed: Hurricane Hugo in 1989, disasters in California that prompted Representative Norman Y. Mineta to declare that FEMA “could screw up a two-car parade,” and Hurricane Andrew in 1992. FEMA was so unprepared to handle Andrew that President George H.W. Bush, bypassed the FEMA director and brought in federal troops. FEMA made a comeback under President Clinton, a Democrat, who put experienced disaster manager James Lee Witt in charge in 1993. Political appointments to the agency were minimized and the agency expanded its activities beyond disaster relief to include more preparation and mitigation. For instance, under Clinton, FEMA’s Project Impact encouraged people to move out of dangerous areas and retrofit structures, mitigating the impact of the 2001 Nisqually earthquake in the Puget Sound area of Washington state. That ended under President George W. Bush—after the September 11, 2001, attacks—when the pendulum hurtled back in the other direction. FEMA lost its cabinet status and was jammed into the newly-created Department of Homeland Security, where the threat of terrorism dominated every decision. Bush Jr. had initially opposed creation of the Homeland Security department, but eventually saw its potential and embraced it. California had federal major disasters declared four times between January 2010 and October 2011, making the state eligible for $236 million in assistance. As acting Cal OES Secretary Mike Dayton pointed out in testimony on Capitol Hill, the threat of terrorism, earthquakes, fires and floods pose serious risks to the economies of the state and nation and require a strong partnership with the federal government to be effective. Michael Dayton, 2011-2012 (acting secretary). Dayton is the current agency undersecretary. Matthew Bettenhausen, 2009-2011. Bettenhausen left to become vice president of security and Chief Security Officer at AEG Worldwide. With more than 25 years of service in emergency management, Mark Ghilarducci was appointed director of the California Office of Emergency Services (Cal OES) by Governor Jerry Brown in February 2012. Ghilarducci received a bachelor of science degree in physiology in 1987 from the University of California, Davis, before becoming deputy fire chief in charge of special operations for Cal OES’s predecessor, the Office of Emergency Services (OES), from 1988 to 1997. He is a 1998 graduate of the Fellowship Program for Senior Executives in State and Local Government at Harvard University, John F. Kennedy School of Government. Ghilarducci moved from state to federal government and was a coordinating officer in District IX at the Presidio of San Francisco for the Federal Emergency Management Agency (FEMA) from 1997 to 2000 and then returned to state government as deputy director for OES from 2000 to 2003. He left government service in 2003 to join Witt Associates, a public safety and crisis management consulting firm based in Washington, D.C. , as west regional vice president. In 2011, Ghilarducci moved to Diamante Partners LLC, an administrative management and general management consulting services company in Folsom, California, as partner and managing director. The El Dorado Hills resident is a Democrat and is compensated $175,000 as agency secretary.